In a psychologised culture like ours, many Christians are unsure how to respond faithfully to the struggles of daily life that they see all around them (and inside themselves too!). For over 50 years, the Biblical counselling movement has helped Christians apply the riches of Scripture to the realities of life. 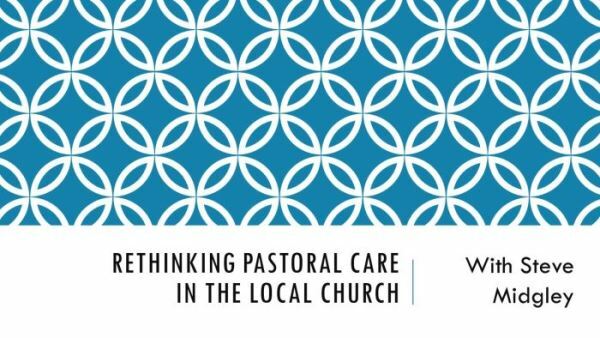 This day conference will offer a framework to help us develop a biblical vision for pastoral care in the local church. Using worked examples and with plenty of time for questions and discussion, we will see how a biblical counselling approach can be applied right across the body of Christ - offering care in suffering and transformation in our battle with sin. Christian Counseling and Educational Foundation and on the council of the Biblical Counseling Coalition. He is senior minister of Christ Church, Cambridge and trained as a psychiatrist before being ordained. November Half Day Training Conference, Wednesday 20th November. Matthew Roberts on "Image, Identity and Idolatry."